Mumbai: Chairman of Leo Burnett India Sub Continent Arvind Sharma has been elected as the new chairman of the Advertising Standards Council of India (ASCI) at its board meeting held on Thursday. He replaces Eenadu Director I Venkat. Sharma is also the President of Advertising Agencies Association of India (AAAI). Partha Rakshit Associates proprietor Partha Rakshit has been elected vice-chairman while CEO-designate of Maxus Global Vikram Sakhuja has been re-appointed the honorary treasurer. The other members of the new Board of Governors are: Advertisers: Narendra Ambwani (Agro Tech Foods), Hemant Bakshi (Hindustan Unilever), Rajiv Dube (Aditya Birla Management Corporation), Shantanu Khosla (Procter & Gamble Hygiene & Health Care); Media: Rajan Anandan (Google India), Sunil Lulla (Times Global Broadcasting Co.), Benoy Roychowdhury (HT Media), I Venkat (Eenadu); Advertising Agencies: Subhash Kamath (BBH Comms India), Srinivasan Swamy (R.K. Swamy BBDO). Allied Professions: Dilip Cherian (Perfect Relations), Dhananjay Keskar (IBS), Pranesh Misra (Brandscapes Consultancy P. Ltd.). Releasing the report for 2011-12, ASCI said the Consumer Complaints Council (CCC) met 16 times and considered 2,986 complaints against 176 advertisements. Of these, complaints against 103 ads were upheld, 69 were rejected and 4 were considered non-issues. As many as 89 ads complaints against whom were upheld were voluntarily withdrawn or modified as per the CCC‘s decisions, resulting in over 86% compliance rate. Venkat said, "The last year has seen ASCI take various initiatives to strengthen the Self Regulatory System. 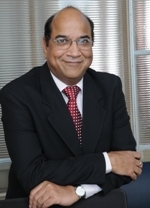 These included increasing the frequency of Consumer Complaints Council to twice a month, introduction of the Fast Track Service, having a National Conference on Strengthening Self-Regulation of Advertising Content, engaging with young Creatives through a Mobile Film Contest at the Goafest, interacting with the Department of Consumer Affairs and participating in their Conferences on Misleading Advertisements. ASC has taken a giant leap forward in introducing the National Advertising Monitoring Service (NAMS) which monitors 1500 TV and 45000 newspaper Ads per month. All in all a very satisfying year for ASCI. ASCI is the first self regulatory body in the world to initiate monitoring of almost all newly released ads in print and TV nationally with NAMS." The incoming Chairman Arvind Sharma said, "It is indeed an honour to be elected as Chairman of ASCI which has progressively contributed to effective Self-Regulation in Advertising content. We are confident that the Ad sector, industry bodies‘ regulators, consumer activists and the general public will actively seek ASCI‘s services and take Self-Regulation forward."